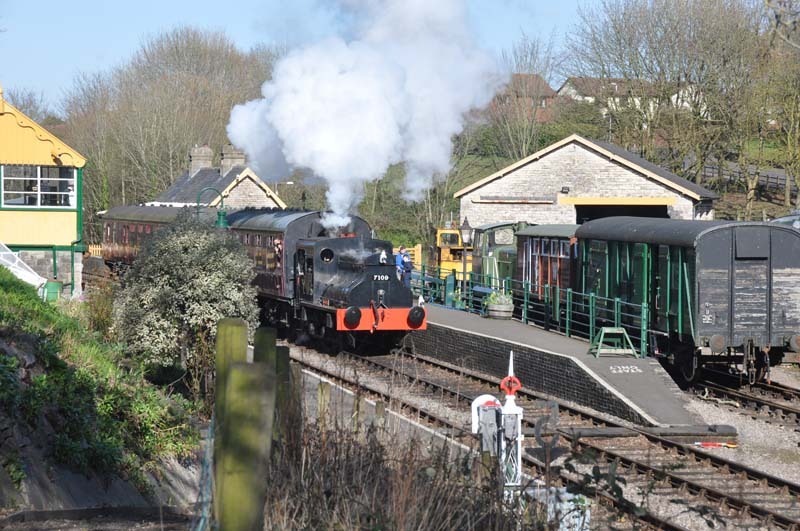 Somerset and Dorset Joint Railway. 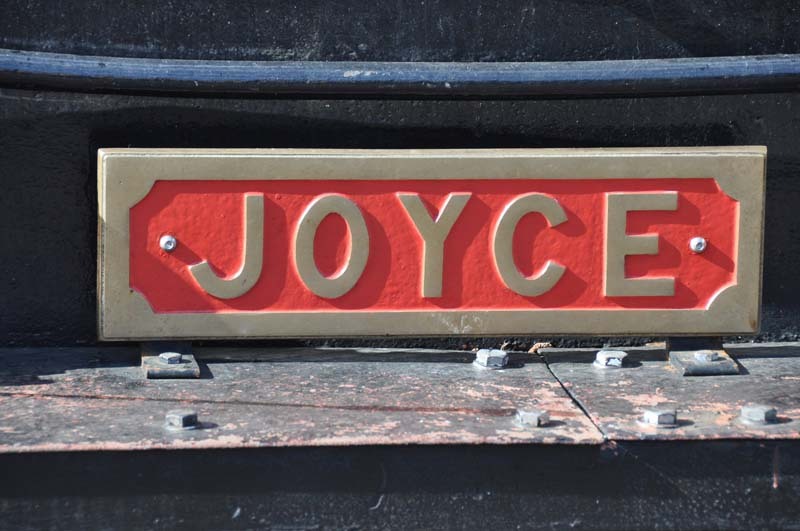 Sentinel no.7109 Joyce at Midsomer Norton South Station. 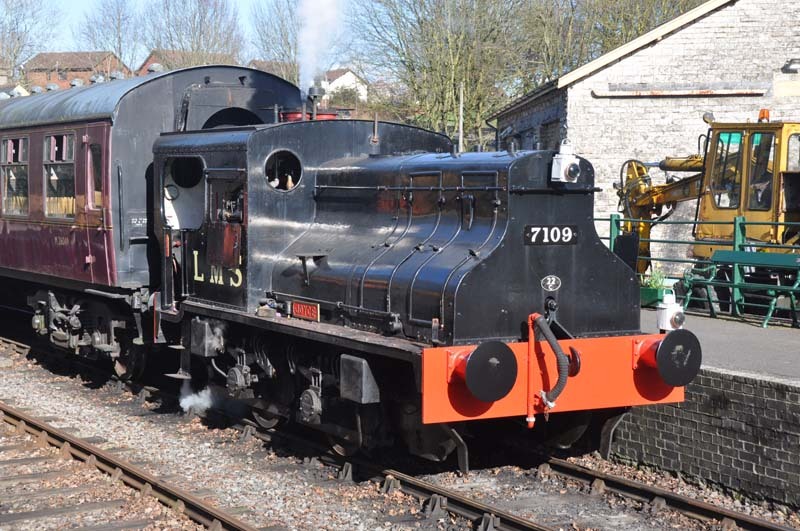 Despite its appearance, 7109 is a steam locomotive. 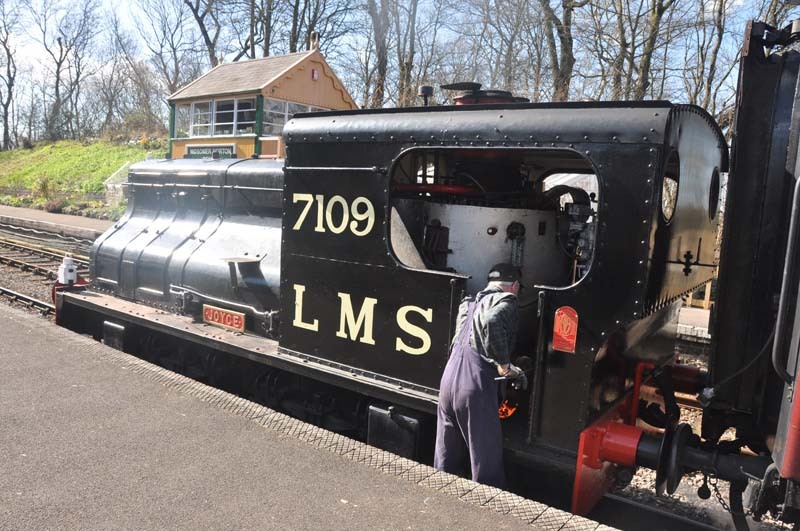 7109's vertical boiler takes up most of the cab space. 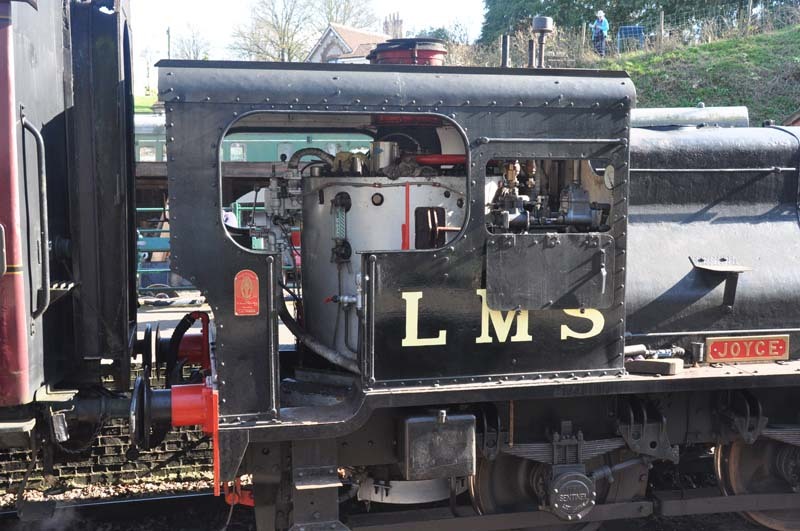 The water tank is directly in front of the cab, the cylinders are behind the two hatches. 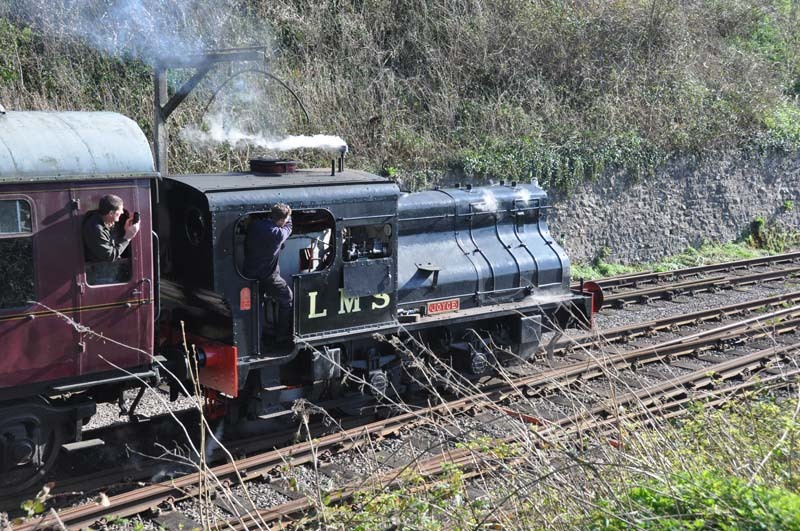 Power to the wheels is provided via a chain drive mechanism. 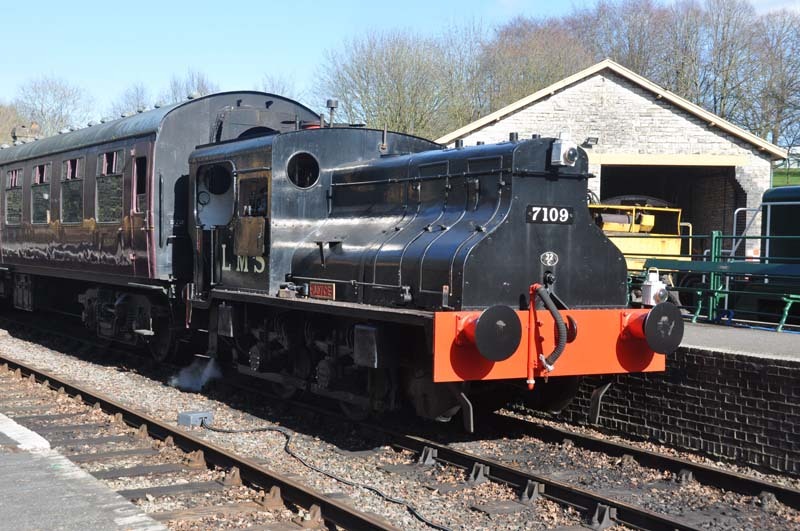 7109 Joyce waiting to depart from the station. 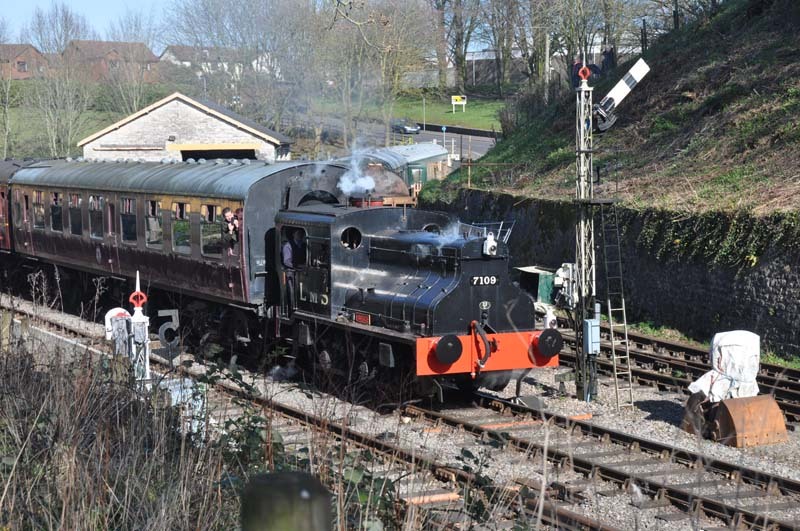 7109 Joyce departing from the station. 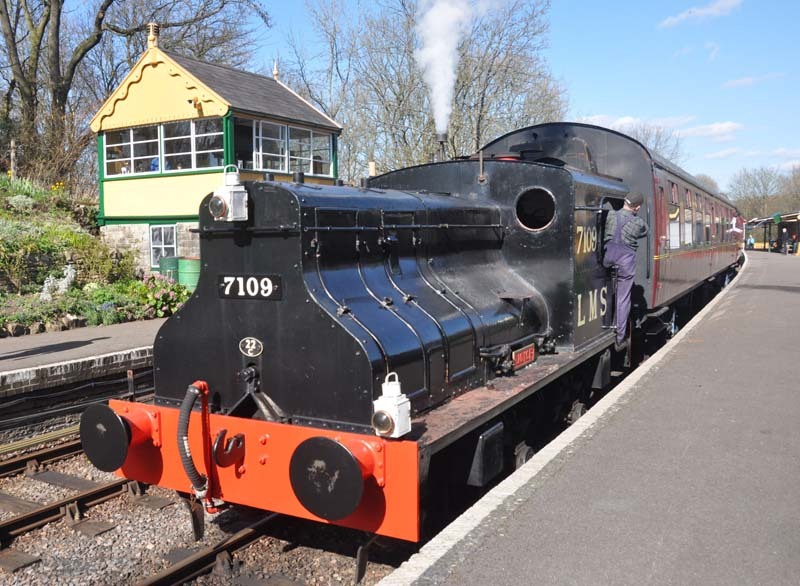 7109 Joyce at Midsomer Norton South Station. 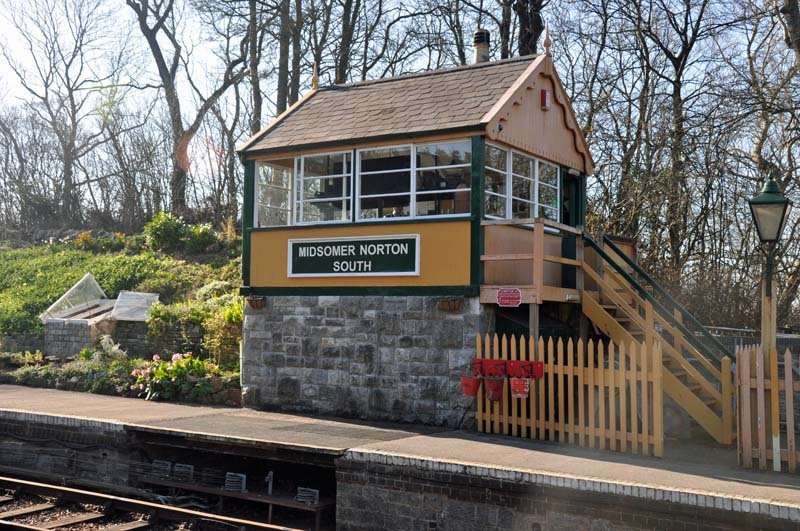 Midsomer Norton South Signal Box. 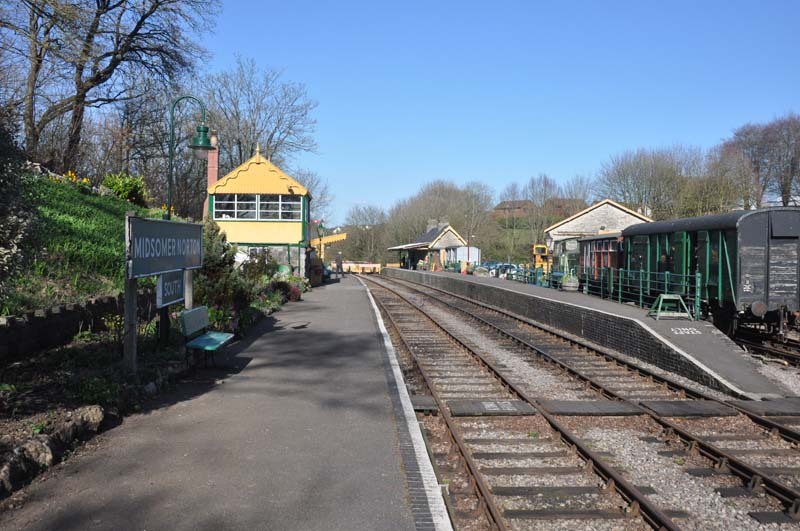 Back to the Midsomer Norton page.